BUY SINGAPORE DOLLAR IN PATNA ONLINE & GET DOOR DELIVERY! Buy Singapore Dollar in Patna Easily! Get quotes from money changers in Patna for buying SGD currency. Choose a money changer & book your order for buying Singapore Dollar. We know that you are in a hurry and has no time to visit the store to collect the currency. With ExTravelMoney, you can buy Singapore Dollar online & get it door delivered! You can also avail door pickup while selling! ExTravelMoney gives you the option to lock today's SGD rate for 2 days by paying a small refundable deposit. You can make the the payment & complete the transaction within the 2 days at the locked rate. Be it exchanging SGD or sending money from India to Singapore, our forex experts would guide you through the entire process. They would educate you on forex limits, required KYC docs and even tips on forecasting. Singapore Dollar is the official Currency of the Republic of Singapore and is represented by SGD and S$. The currency is issued by the Monetary Authority of Singapore. The banknotes of 2, 5, 10, 20, 50, 100, 1000, 10000 S$ and coins of 1, 5, 10, 20, 50 cents, 1 S$ are seen. 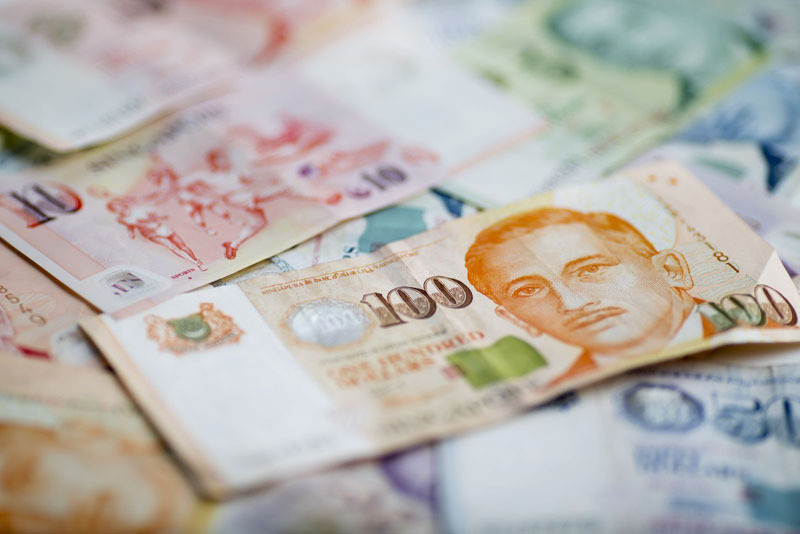 The Singapore Dollar is also valid to Use in Brunei because of the pact between the two nations. The currency is one of the most transacted currencies among the Asian nations. Owing to the large success rates of businesses and entrepreneurs in the country many investments flow into the Singapore economy. The SGD has an exchange rate of 45-55 INR. ExTravelMoney can help you obtain forex services on transactions in Singapore Dollar anywhere in India.